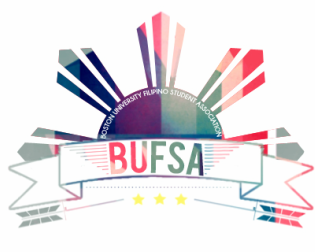 Arvin Agas, President - BUFSA: Mabuhay! Arvin Agas is a senior in SAR, studying Health Science with a double minor in Psychology and Public Health. He’s been a member of BUFSA ever since his freshman year and is probably the first member ever to be on e-board for four years: first as Freshman Representative, Recreations Coordinator, Treasurer, and now President. He is very proud of this accomplishment. “Nobody’s going to be on e-board for four years for a very long time,” he says. We, too, are proud of him. One of his main goals as President is to cook dinuguan (google it) for the club. Make it happen, Arvin.